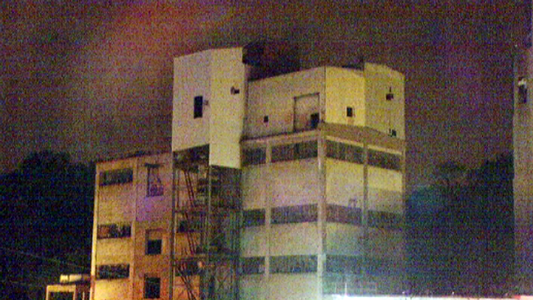 About 30 firefighters rescued a man who fell while exploring the vacant grain bins on Thomas Avenue North in Minneapolis overnight. The Minneapolis Fire Department was called around 11:30 p.m. Wednesday. When the special rescue unit arrived, they found that a man had fallen 60 feet and broke his jaw and had several serious cuts. Crews say he had fallen from the very top of the structure, and it took them about four hours to free him. The man was taken to Hennepin County Medical Center for treatment. Another man and woman were also in the bin but were uninjured.